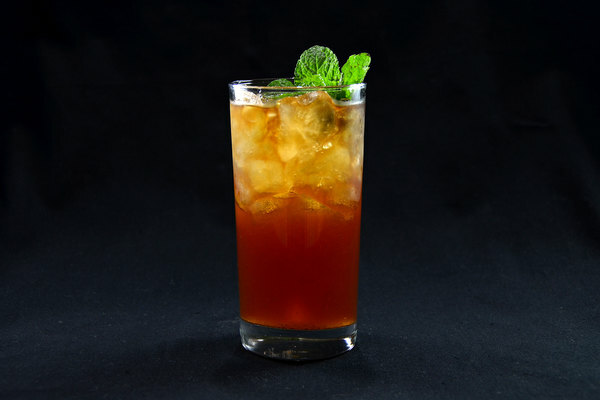 What makes a drink tough to prepare? 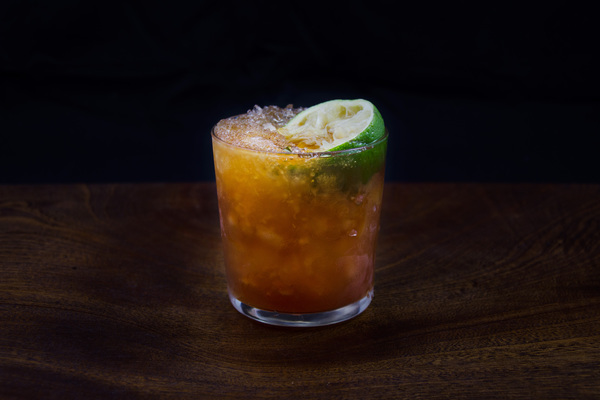 Some cocktails are challenging because they are simple, extracting complex flavors from a small troop of ingredients. Other drinks are tough because they require a battalion of bottles large enough to stock a small bar. If that second thing sounds good, then meet the Test Pilot: a triple axle of a cocktail. Each icy sip brims with molasses, clove, vanilla, and anise, spicy flavors perfect for cold weather or rainy days. The test pilot is complicated, but does not require finesse. So many voices are in this choir, a couple flat notes won’t be noticed. 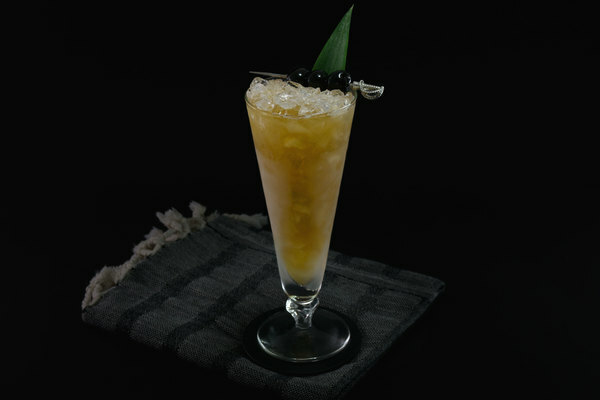 Light and dark rums are requested, but if this drink were prepared with only one rum, angels wouldn’t lose wings (though they might kindly recommend a second rum). For bigger bars, we prefer combining a smooth, team-playing label like Plantation 3-Star with something dark and buttery, such as Smith and Cross or Goslings. 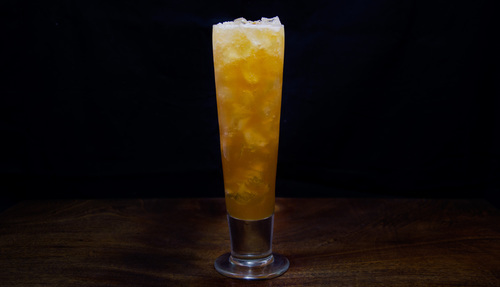 If this drink takes a nose dive, it will be with absinthe, so take it easy. The act of drink preparation—a serenade of aromas, colors, and history—has a zen appeal. For most, the clanky whir of a blender isn’t part of that appeal. Releasing water into this drink is important, but a blender isn’t the only way. Paul Clarke of the Cocktail Chronicles recommends an immersion blender, a move we emphatically endorse. It’s quieter than a traditional blender, and offers a higher degree of control. If a mechanical chopping device isn’t in the house, pulverize some ice in a bag, and shake the thing to hell. This isn’t rocket science, and that’s alright. Rocket scientists need focus, and shouldn’t be drinking something this strong anyways.